Will I have to replace my ignition? In the event that you break your key off in the ignition of your car, you may or may not have to replace the ignition cylinder if you use a professional car key extraction service. There are several factors that will determine this outcome. The first factor depends on how far the broken pieces are within the lock cylinder. 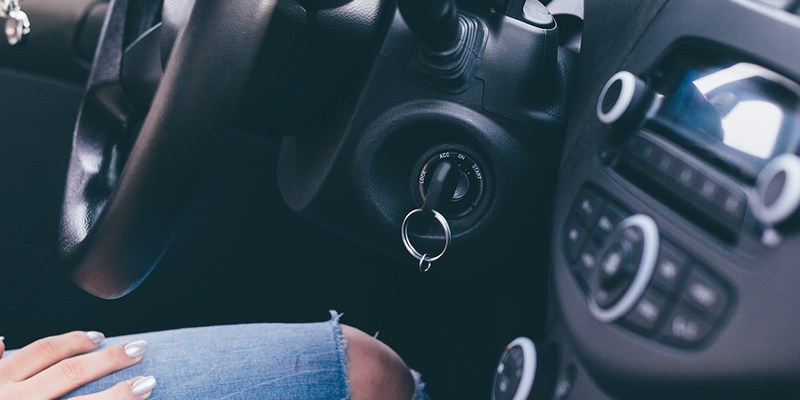 If the key piece is close enough to the point where it can be extracted without damaging any other components of the ignition, then our locksmith should be able to help you remove them from the ignition without giving you any reason to replace the ignition. However, if they broke off in the ignition while there was a lot of force being applied, there may have been some internal damage to the ignition that will call for it to be replaced. The locksmith that attends to your service call will assess the situation and help you proceed with the necessary steps. Will I have to replace the lock on my car door? Unless the lock becomes damaged due to the key breaking within it, then there is no reason to replace the lock on your car door. Our locksmiths are well trained to properly conduct the car key extraction process, and they can do this without causing any harm to the door, so it is not necessary to replace the lock on your car door. How long does it take for a car key extraction? Car key extractions sound much more difficult than they actually are. With a professional locksmith at the helm of the car key extraction, it should take between 20-30 minutes for your car key to be extracted. Please keep in mind that this time may vary based on whether or not the key is broken off in the ignition or if it is broken off in the door of the car. Our locksmith will assess the door lock or the ignition to make sure that they are proceeding with the best possible car key extraction process that will keep your car intact and that will also have you back in an operational car in no time. Will I need a spare key? Yes. If you need a car key extraction, then your key is most likely broken. It is not advisable to drive your car with two broken pieces of a car key, and we would not suggest hot-wiring your car because you broke your key. It is in your best interest to obtain a spare key so that you are not stuck in a similar situation in the future. Plus, spare keys always come in handy. Can I start my car with a broken piece in the ignition? You might be able to do this, but we stress that you do not attempt it. Somehow, many car owners are interested in attempting to start their cars with two broken key pieces. It might seem like a bright idea on paper, but in reality, it leads to more harm than good. In most cases, the key piece is pushed further back and this makes it harder to extract, and sometimes it even leads to a damaged ignition. The same concept applies to attempting to open your car door after the key has broken off in it. Do not attempt to do it. Simply give your trusted locksmith a call and they will be there shortly to help you out. Many people think that it is uncommon for car keys to break, but it is an occurrence that has plagued many car owners time, and time again. Car keys can break at any time for a plethora of reasons. One of the most common causes for a car key breaking is the stress of everyday wear and tear. Like almost everything else, keys that are used consistently over a period of time will begin to gradually wear down. This is a process that takes time. You will be hard pressed to find a relatively new key that breaks off due to wear and tear. Car owners should cultivate a habit of paying close attention to their car keys. If there are any cracks, it is important to discontinue using that car key and begin to use a replacement. Some drivers find themselves in need of a car locksmith to help them with a car key extraction, simply because they decided to keep making use of a key that was likely to break. In some cases, the key breaks off due to the use of excess force by the part of the driver. The break could occur in the ignition or in the lock if there is immense pressure applied when you are trying to open your door or start your car. When you are in the motion of unlocking your car door or starting your car, make sure that you do not apply an excess amount of force. If you feel like the key is not moving the proper way it is supposed to, stop exerting turning pressure. It could be that the keyway of the door and the ignition are merely in need of some lubrication. The solution to that is quick and inexpensive, but if you happen to continue to force the key, there is a chance that you will damage it. The solution to that is not as quick, and it is not as inexpensive. Also, some car keys break because of extreme changes in the weather. Broken car keys are a common occurrence during wintertime. 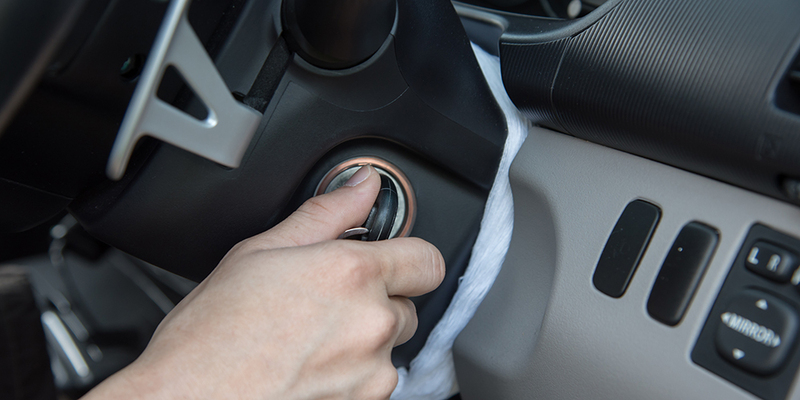 With drastic drops in temperature, your key, your car door lock, and your car ignition are all susceptible to change. When metals are exposed to cold temperatures, they lose their kinetic energy and this leads to their molecules taking up less space, and thus, the metal begins to contract. Now, the nature in which metal contracts is not universal since there are many different types of metals, which all have their own respective properties. Due to the drop in temperatures during winter months, many homeowners have a hard time trying to unlock their car doors. This is because the material with the lock, and also of the key itself, has warped ever so slightly due to its contraction. If you are having a hard time unlocking your door during these months or starting your car, make sure that you do not force the key to into the keyway. Over torquing the key could very well lead to you damaging your car lock, your ignition, or the key. If you feel like your key is not working the way it is supposed to with the ignition, or with the car lock, it is a good idea to heat up the key a little bit and attempt to use it again. Also, you can lubricate the ignition or the door lock. This works in most cases. In addition to the reasons listed above, some car keys can break due to the presence of debris in either the car lock or in the ignition. This normally happens when drivers do not maintain their cars over long periods of time. The lack of maintenance leads to an excess buildup of dust and other materials that can block the keyway. If drivers are not aware of this, it could lead to their keys breaking off in either the lock or the ignition and this would call for a car key extraction. Try to salvage your key, even when it is broken, as it is possible to fix a broken key. The car key extraction process is simpler than it sounds. But the task at hand will depend on the state of the key and the lock it is in. For example a key stuck in your ignition might not be the result of a broken key. If you are not a professional, there are a few ways to remove a broken key, which you can try yourself. When dealing with a car key stuck in the ignition, it is important to leave the car key extraction to a trusted and qualified car locksmith. If this important task is left to an unqualified individual, you increase the chance of damaging your car locks or your ignition. As has been stated several times already, car key extractions are normally required when a key is broken off within the lock of a car door, or when it is broken in the car’s ignition. The extraction processes for these are similar, with a few minor differences, but we will walk you through the general steps so you have an idea of what to expect. When car keys break inside a lock cylinder (ignition cylinder or door lock cylinder) they normally break flush at the point where the shaft of the key meets the head of the key. To take care of a car key extraction, the locksmith will make use of a broken key extractor tool or they will use a broken key extraction kit. Each of these methods will accomplish the same goal, but their implementation differs in minor ways. The broken key extraction tool is inserted into the lock to catch on the broken key and slide it out. Before this process is even started our locksmith will lubricate the lock to make sure that the lock can slide out with ease. This also ensures that there is no additional damage to the locking mechanism during the process of the extraction. The locksmith will have an idea of just how deep the broken key piece rests within the cylinder by taking a look at the remainder of the key. It is important to have an idea of where the key is so that it is not pushed further back into the cylinder. The broken key extractor tool works by catching onto the bitting of the broken key and twisting it so that it slides out with the motion of the extractor tool. In lieu of using the broken key extractor tool, some locksmiths will use a broken key extractor kit. A broken key extractor kit usually comes with a pair of spiral extractors, extractor pliers, and a hemostat. To properly use the extractor kit, the locksmith will need to have access to similar key that will fit partially into the ignition or into the door lock. The spiral extractors have to be guided into the keyway so that they are in close proximity to the broken key piece. This step should be done with caution, to ensure that the broken key piece is not pushed further back. Once the spiral extractors are touching the broken key piece, the locksmith will begin to gently twist each of the spiral extractors in a clockwise motion. After they have done this, the guiding key is removed, and the spiral extractors are wound around each other and then gently pulled back. The spiral extractor should pull the key piece out as it is being removed. It is important that this is done slowly so that the key is properly removed. In some cases, once the shaft of the broken key is partially out of the keyway, the locksmith will make use of the extractor pliers and the hemostat to gently pull the rest of the key out of the keyway.